Good News! For anyone whose ever asked me about the pattern for the Breast Cancer illusion cloths, the pattern will be available in a 2009 Breast Cancer Awareness Calendar. I don't have the final details yet, but all proceeds from the sale of the calendar will be donated to breast cancer research charities! Two charts with the Ravelry logo. Can be used for intarsia and other things. 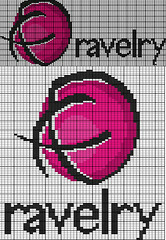 The Ravelry Logo is protected by copyright. the Charts are distributed with a Creative Commons license. Click the button below for direct download. More about Country Gingham here. 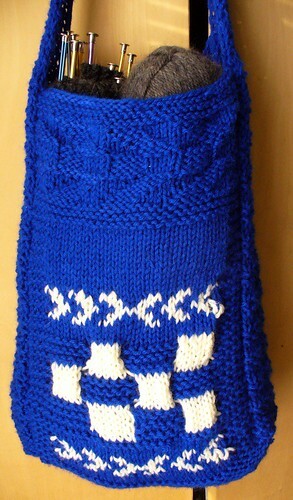 Double Knit moebius headband. Find info about ReCycle here. Click the free download button above to download directly.